Designed by Tabanlioglu Architects of Istanbul, the contemporary icon of the city was inaugurated by Prime Minister of Turkey, Recep Tayyip Erdogan. Besides being a luxury residential and a monumental contribution to urban aesthetic, with its observation deck at the highest point of the city and its boutique shopping facility, Sapphire is now ready to join the city life as a vibrant meeting point. Being the capital to three empires throughout its history, at the crossroad between East and West, Istanbul symbolizes interaction, transformation and development; the City has been the center of commercial control and coordination, thanks to its geography; today the city maintains these functions at its "Central Business Districts- CBD". The Levent-Maslak axis, that developed during the last two decades, is the main CBD of Istanbul, adapted the global changes and contemporary needs, as its infrastructure is appropriate in terms of communications and high technology. In the process of becoming a metropolis, and an international hub with a population of more than 15 million people, Istanbul is going through a fast urban transformation, in parallel with the changing economic and social structure. In the last few decades, especially due to increasing use of automobiles, luxury condominiums have been established in the suburbs of Istanbul, like in many other metropolis around the world. Recently, major investments in residential complexes are also contributing to bringing life back to city center; mix-use complexes and high rise residential towers arise or industrial buildings transform into elegant homes, designer lofts or idiosyncratic spots. 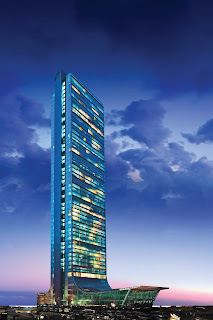 The construction of prestigious international buildings adds a permanent economic and aesthetic value to the city. 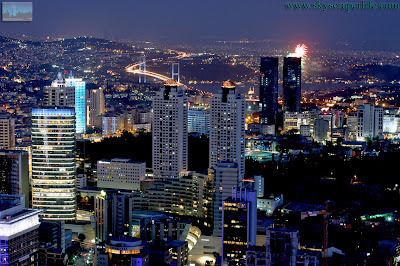 The 261 meter Sapphire residential building rises in agreement with the surrounding high-rises in the heart of Istanbul. The newly completed structure is the tallest residential building in Europe and 97th highest building in the world. The total construction area of the 66 floor creation is 165,000m^2. 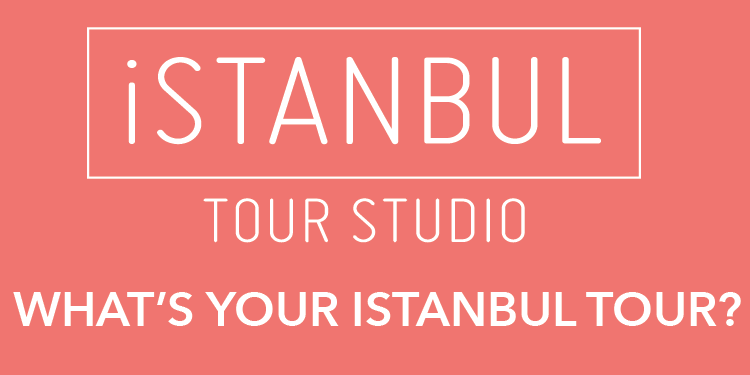 Without question, Istanbul is a city of youthful dynamism with its eye on the high-tech future and the profits and innovations.